Recently, I wrote an article for a partner’s publication looking at why you should sell on your own website as well as marketplaces like Amazon or eBay. In this article, I’d like to look at some of the platforms we have worked with, and look at which would suit your needs and resources best to help you make an informed decision based on your situation and needs. If you need a website, then ultimately you need to do your homework, and think – What kind of website to do I need? And what kind of website do I want? The trick is to find a way for both answers to be the same. This is not, by any means an exhaustive list; it’s just a small sample of them to get you thinking. Ultimately, in eCommerce, there’s no guarantee of success – Each business that does well achieves it through a unique mix of people, tools, timing and insight. It behoves everyone, sellers and eCommerce professionals both, to stay in the habit of thinking and discovering new things, and new ways to use older things! 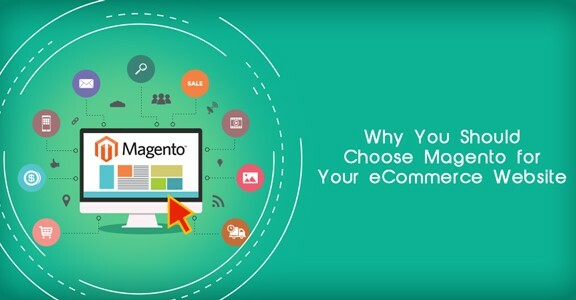 I’m going to cover 4 options in this article – Magento, Shopify, BigCommerce and Zoey. First things first – You need to sit and consider a few things about you, your business and your customers. First things first – Are you selling niche/valued items, with higher prices but lower volumes sold? Or are you selling products with a lower price that sell in higher volumes? This will help you to decide where your attention should lie, and what your expenses are going to be. On lower volume, higher value transactions, it makes sense to focus on the quality of the site and user journey. Meanwhile, with lower value, higher volume transactions, you have a low margin, so the percentage fees/transaction costs will rapidly eat into your profits quickly. I’m going to look at each option in turn, looking at what use or level each platform is best suited to, to help you decide what is best suited to your requirements, or not. Sometimes, just saying no is an important decision, because it frees you to look elsewhere. Shopify is one of the most mature of the ‘build your own shop’ platforms, being in place since 2004. They offer a range of options to tailor your web store to your own requirements including extensions and themes (Free and for a fee). They also offer EPOS that ties into the page, making it a popular option for small Bricks and Mortar retailers wanting to sell online. Making $205.2 in 2015, and undoubtedly more in 2016, they focus on making their service easy to use and simple. Their focus is on helping those who are new to online retail find their feet and start to grow, and offer a good starting point. The service doesn’t scale well past a certain point, however, and is definitely more focused on ‘SM’ than ‘ME’. They offer a range of resources for newer sellers to get the most from their site, from video guides and written material to free tools and advice. If you look at their site, you’ll see that they host almost 380,000 other sellers, making sales totalling over $29 billion dollars – and the majority of their sellers are happy where they are, making their money without pushing too hard or worrying about the technical details. Price-wise, Shopify offers a 14-day trial, and then cost is between $29 and $299 per month. They also charge transaction fees both online and EPOS, for using external payment gateways (PayPal, Stripe. Amazon Payments), and different priced packages have support for varying staff numbers and features. It’s a very attractive starting point if you’re new to eCommerce and want some help, without breaking the bank. They also offer Fraud Analysis tools across the range of services to help you avoid the less savoury part of the market that prefers NOT to pay for our hard work and dreams. There is also a ‘lite’ option for people that sell from their home on Facebook and blogs without a proper store, and Shopify Plus focused on the areas above their normal zone – For a hefty fee! 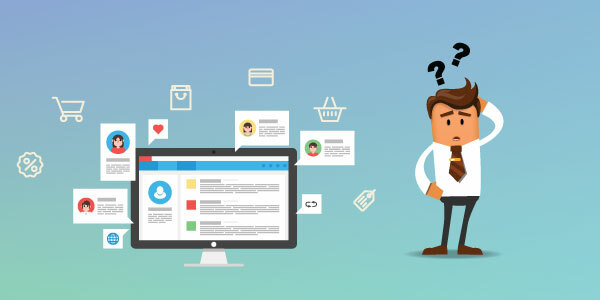 eBusiness Guru have worked with a range of sellers using Shopify, whether to help them get the most from their store and improve the design, to assist them in getting it hooked up to Linnworks as they start Multiplatform eCommerce with eBay and Amazon, or to help them transition to another platform for their store, such as Magento. BigCommerce is often thought of as an American company, and it started there. Yet it was founded by a pair of Australians back in 2009. With a 15-day free trial, marketplaces for Apps/Extensions and themes, and a solid base in the original Interspire eCommerce software, they offer a solid option for sellers that are finding their eCommerce feet, and keep things simple by bundling all your costs into their own service fee, which is appealing to those who are less technical. BigCommerce’s own figures say that their merchants grow at 28% year on year, while the average is 14% – You wouldn’t use them if they made your business shrink, would you! They have a number of brand names that use them, which should be reassuring for the rest of us. Pricing after the free trial ranges from $29.95 per month, all the way up to $249.95 per month (or more – They’ll do something special for the really big clients!). They provide a range of features across their site for the eCommerce neophyte, including BigCommerce University, blogs, and webinars. Unlike Shopify, they don’t charge transaction fees, or limit the number of staff that can have accounts. The baseline functionality is impressive, I’ll freely admit, and here at eBusiness Guru we have helped a range of sellers get up and running with BigCommerce, including design services, integration with other software and even getting all of their stock into the site. We’re firm believers in helping our customers to get the most from their investment. BigCommerce will talk to eBay and Amazon to coordinate sales, listings and availability. It’s a great start to Multichannel eCommerce, but it has its limitations. The App store and Themes store only have so many options in them for BigCommerce. Then it’s time to consider other options. eCommerce, like the business itself, doesn’t stand still, and neither should you! If someone asks you if you’ve heard of Zoey, or what you think about Zoey – You’re probably going to either start talking about a friend, or a film star – That’s a shame. So what is Zoey? To put it simply, it’s an eCommerce platform for people who want to make their store look great, work well, and allow them a lot of flexibility. It’s a platform that people grow into, from BigCommerce, Volusion, Shopify and others, giving you a solid platform built on proven technology, without descending straight into consoles and text files behind the curtain. 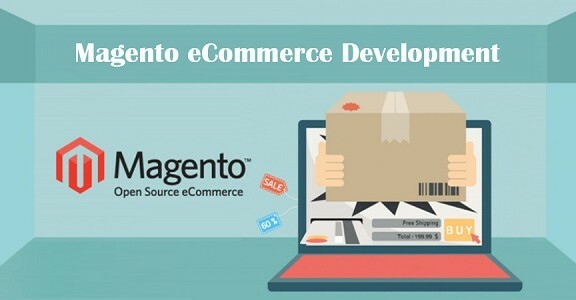 You can code if you want to, and knowing Magento is a benefit, but they’ve put a lot of work into drag and drop tools for creating, editing and styling your eCommerce site, and they’re constantly evolving it, with the help of partners and other developers. Zoey have sales, coupons and offers, gift cards and other features built in and easy to use, to help you tempt and retain customers – The first sale is important, but the second says they’re going to keep coming back. You have to be creative and flexible in modern eCommerce, or you’ll get left behind. No sitting back and clicking a mouse occasionally! eBusiness Guru can help you get up and running with Zoey, assisting with design and setup, and Zoey’s own teams of specialist offer a comprehensive support service too, as well as a range of material for self-study and review. They target themselves as a premium service, offering better service and capacity than BigCommerce, Shopify and others, without going to a full Magento site – They are the last step before that wonderful, freedom filled experience of starting with a blank slate. As a premium service, you would imagine the pricing would be prohibitive, but not so. Their cheapest package after your free trial is $199 per month, but that’s the equivalent of most people’s mid-range or upper mid-range package, easily, with Abandoned Cart reporting, Gift cards, HTTPS support and Blogging. Then we move on to the thinking man’s eCommerce site. Start with the bare bones, build the site how you want it, using what you want – All tailored and optimised, then hosted on the servers you need, on the host you can rely on – Magento! With Magento, it’s the ultimate expression of the phrase “You get what you pay for”, and yet it starts with something that is free – Magento itself. Starting with the platform that was so good eBay bought it, then gave it away, Magento is constantly being tweaked, improved and updated, because it’s open source – Anyone can read the code that makes it work. Some people read that wrong – They imagine that makes Magento weak, because they can find a place to get in, or break through the site’s defences, to your data, or your customer’s. Quite the opposite, in fact. With thousands of developers constantly tweaking and examining it, Magento benefits from a security team as big as the world itself, and the end results of their work benefit them, whether directly as sellers, or indirectly as programmers who prove they’re more skilled than their peers and colleagues. With Magento, you start with an Agency to help you figure out what you want, and what you need, from your eCommerce site. You may start with a list of things you do and don’t like about your site, or a list of sites and what you like about them. That agency, like EBG, will look at these lists, and talk to you about what your business is about. They’ll make some recommendations; maybe even show you some of their previous work to help you get an idea of what things can look like. They can identify not just the images you need, but plugins and Magento modules to help things work the way you need them to. 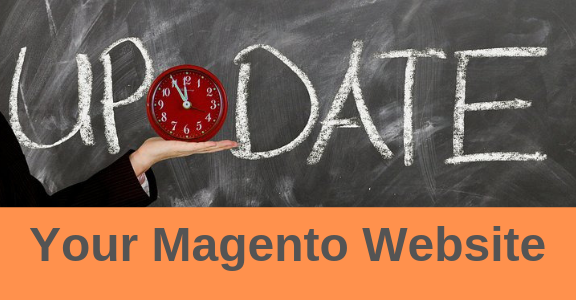 As Magento Developers, we can even write updates and components! To get you and your business the best Magento eCommerce solution, though, it shouldn’t just work well, and look good. It should move like it means business too. Too many people fall down at the last hurdle – Nothing, not a redesign, or a catchy logo, let alone the latest in plugins for Abandoned Cart recovery, slick image carousels and beautiful product imagery in an optimised buyer journey will save your store if you save money in the wrong place. You pay for all of the work and time above, and your site looks stunning and bespoke. Clean, with details that will make it easy for the customer to find where he is, and what he needs. Great Photography and in-depth information lets the determined shopper search for the item she wants quickly and easily and see lots of tempting, but relevant companion products that just have to be bought, tripling your basket values. But you’ve blown your budget, and so you settle for the bargain hosting option. Clicks on links take minutes to work or result in beautifully customised error pages. Images taken on thousand pound lenses in beautiful light under the trees of Paris show up like Minecraft screenshots when they time out upon loading. Every 20th person that goes to your site gets a timeout message, until the 3rd week of the month when your bandwidth expires, and NO ONE can see it now. Your baskets remain unfilled, your pictures unviewed. With Shopify and BigCommerce, the problem isn’t directly in your hands. A package is a mix of tools, features and hosting, and they make the commitment to you to meet an appropriate level of performance. You can put the right look together alone, or with help, but ultimately when the site has reached it’s limit, all you can do is log a ticket and hope. With Zoey, you have the heart of a Magento site, wrapped in a beautifully tailored outfit, with matching accessories, ready to run, but you’re still running on someone else’s estimates for what should be best if you’re a little more successful than Shopify, BigCommerce, et al estimated and paid for. With Magento, you start out with a blank sheet, and you pick the engine, the trim, the size of the fuel tank, everything! It takes more time and effort, it’s more frustrating at times, but to go live with the best Magento eCommerce solution – It’s yours. Head to toe tailored to your wants and needs entirely (or not, if you choose to ignore advice). It’s exhilarating – and terrifying. It’s not cheap. It doesn’t finish at go live, but it’s right for some people. But it’s not necessarily right for you. So calm down. Your eCommerce business is a living thing. When it’s young, it has to be cautious, and adapt to its surroundings. It shouldn’t rush headlong, but neither should it be too cautious. Finding a balance is tough. Shopify or BigCommerce are great for a lot of businesses, and allow their owners to focus on selling. Zoey allows people to dream bigger, but they still look after the concerns which some sellers find distracting, letting them achieve more with less effort because the team at Zoey deal with some of the worst details. Magento, though – Magento takes time, and energy and worry. But if done right, all of these 4 options can be dealt with. Ultimately, you CAN do it alone, and some people are gifted, and lucky and do well. The rest of us have to work for it. We’re happy to work for you, and with you. We’re happy to bow out when asked and return when needed. Good professionals understand this. Ego doesn’t help sometimes. I don’t know what I’d recommend – But I haven’t talked to you yet. I’ve just talked with you. You can call me, or a colleague to discuss your needs, and see what is best for you. We don’t bite; we just want what’s best for you. Because if it brings in business, then we’re doing it right. And we won’t tell you that you need us if you don’t. That would be unethical, and who wants to deal with a company like that, or recommend them?